If you’re reading this now that probably means you’ve got a fire burning within you. A passion hot like the sun. A yearning to self-express. To live authentically. To be creative. Whether you’re longing to move us with your words, your art, your voice or you can’t quite place a finger on it just yet, you know it’s there and can’t be ignored. However, a common problem that I see amongst my coaching clients (all creatives like you) is that they’ll talk about their desire to write, teach, paint or ignite whatever creative spark is living inside them but their vision never comes to fruition. Why is that? I believe from my own experience that there are a few things that stand between those who reach their creative dreams and those who want to but don’t. To help you reach your goals this year, I’ve highlighted my top strategies to help turn your wildest creative visions into concrete reality. Before you can make any progress you’ve got to know what it is you’re working towards. We’re talking the who, what, when and how. This is important because getting clear will greatly increase your chances of accomplishing your goal and following through. It’s simply not enough to say “I want to improve my photography skills”. It’s too vague and provides no direction on how to achieve that goal. You’ve gotta be precise. A better goal would be: “I will improve my photography skills by taking one picture every day for 3 months using only the manual settings on my DSLR camera.” Can you see the difference? The second option gives me a clear direction and there’s no mistaking what I’ve got to do. When do I want to accomplish it by? PRO TIP: Start each goal statement with: “I will…“. By doing so you’re making a positive assertion that you’re going to get it done. Check and check! Having a compelling reason for wanting to reach your goal is essential. It’s your motivation and the reason you’ll follow through when you’re tired, overwhelmed or feel like giving up. It’s important to be very honest about why you want what you want. 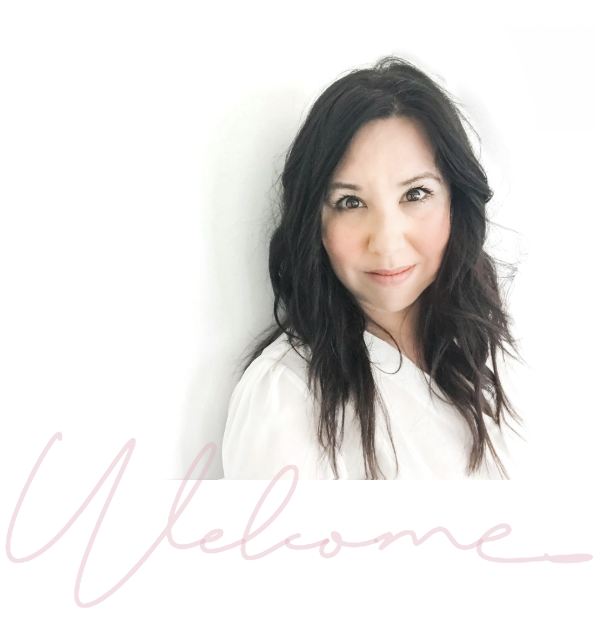 If you don’t feel excited, teary or all warm & fuzzy in your heart chakra when you think about your goal, then you’ve got to ditch it or keep digging until you make an emotional connection for wanting to commit to it in the first place. What would it feel like to reach your goal? Who will it impact? How will it impact them? In what way will your life be different? How will your life be transformed? List all the ways your life will be impacted and remember those reasons on the days you don’t feel like taking any action towards accomplishing your creative dreams. This seems like an obvious strategy but have you actually taken the time to formalize a plan to guide you through the process and help you follow through? If you want to start a business, you need a business plan. If you want to pitch a project to management, you need a proposal. So now you want to turn your visions into reality, what do you need? That’s right! A roadmap of how you’re going to get there. 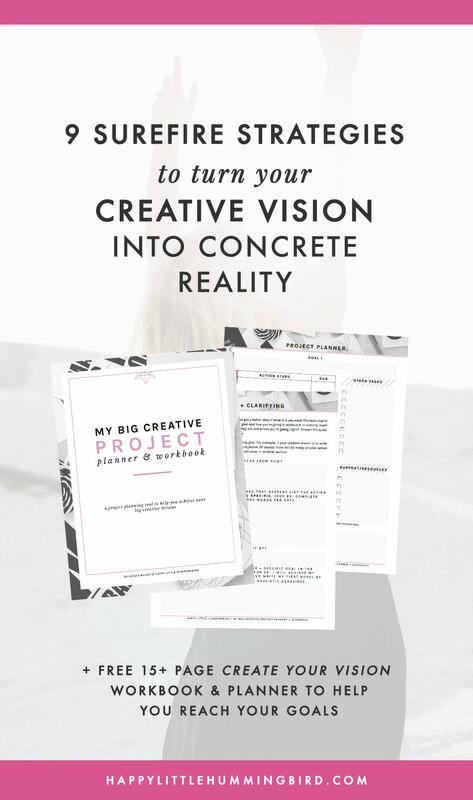 Set aside 30 minutes to break down all of the steps you need to take to help you reach your goal, or better yet, download a free copy of My BIG Creative Project Planner + Workbook to guide you through the process. I recently read a great article which talks about living on the someday island versus the now island. Which island do you think gets better results? If you’ve been saying “later”, “when I have time”, or “I’m not ready”, do yourself a favour and STOP (sorry for yelling but I had to get your attention). Think about it. This year will pass whether you take any action or not. Now ask yourself, will I regret not starting this very moment? Think about how much you will learn and grow in just ONE year. Lots. Each day that you delay starting, you’re one day further from creating the joyful, meaningful life you want to live. Accountability is KEY when it comes to following through and meeting your goals. As a coach, I’ve got a slew of accountability partners to check in with. It has really upped my creative biz game because it helps to have someone to bounce ideas off of and get real live feedback from people who get it. Have you noticed that when you’re overwhelmed, tired or just having a bad day your brain starts to think about throwing in the towel? Ugh! A good accountability partner is ready to offer good advice, a sound ear and will help you combat those negative thoughts residing in your head. This is crucial. And let’s be honest, us creative types generally lack some serious focus and discipline, amiright? That’s why it’s critical to partner with someone who’s willing to give you a good ol‘ swift kick in the rear-end when needed. This reminds me of my corporate days when I would spend a few hours creating meaningful goals at the start of each year only to forget what they were by the time my mid-year review rolled around. Oops! Really, how successful do you think I was when I had no idea what I was working towards all year? Set a reoccurring calendar reminder each month to evaluate your goals. Ideally, you’re taking one or two steps every day towards those big creative dreams of yours, but if not, you’ve got to find a way to keep them in the forefront of your mind. Review your plan and check in with your accountability partner on a regular basis to ensure that you’re on track and headed in the right direction. Time is your greatest asset. Period. How do you spend your time? Netflix? Facebook? Comparing yourself to others who are already doing what YOU want to be doing? Don’t get me wrong, I can find tons of ways to distract myself from putting in the effort because let’s face it, it’s easier than actually doing the work, right? Make a list of your major time wasters and decide if you’re going to eliminate them completely or make a compromise. For example, I only watch TV when I’m cooking in the kitchen or later in the evening when I’m relaxing on the couch with my husband (even then that only happens 2-3 nights out of the week). Just be intentional about how you spend your time. Ask yourself, is what I’m about to do worth it? If it is, go for it. If you get a nagging, heavy feeling like you’re killing time and could be spending it better than you know you’ve got to make a change. 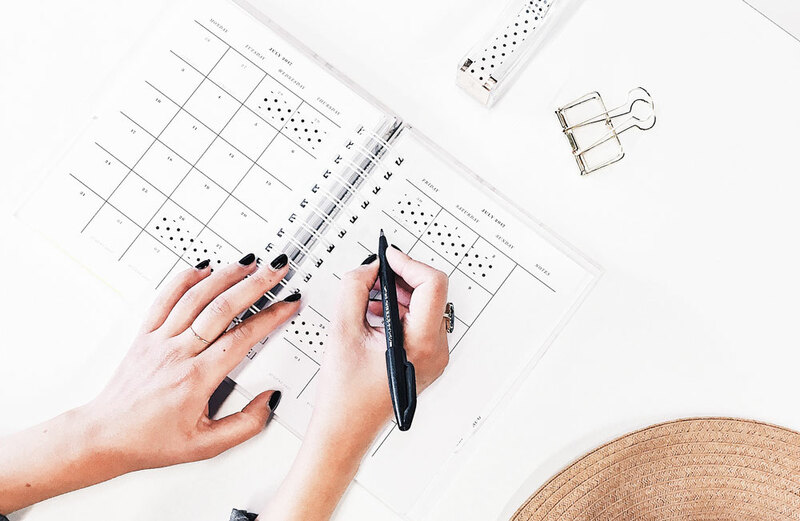 PRO TIP: Get clear about when your highest productivity hours are and clear your calendar to work on your creative project at that time each day. I know this seems counterintuitive and goes against every law of attraction principle you’ve ever heard of—but here’s the thing—expectation is one of the greatest causes of pain & misery. We get a vision in our mind and expect things to go a certain way but when they don’t it robs us of all the potential joy and happiness we would’ve felt if we didn’t set our expectations so high. Yes, bridezilla I’m talking to you. I bet you know a bride (or two) who has planned her wedding to a tee only to have what should’ve been a joyful, significant life event get overshadowed by anger and bitterness for the things that didn’t go as planned; the ring bearer cries as he walks down the aisle, the photographer misses the bouquet toss or heaven forbid the prime rib was overdone. Believe it or not but achieving your goal isn’t what’s most important; it’s who we become and the lessons we learn along the way that really make it worthwhile. Don’t get me wrong, reaching your goal is still very important, but if you’re believing that your happiness solely depends on achieving your goal (publishing that book or landing that gig), then you’re forgetting that the real joy is the journey itself. Enjoy the process and don’t kill the fun with unrealistic expectations. How bad do you want this? I wish I had a lamp with a cute little genie that could grant your wish of having endless hours in a day to do all the things you want to do. But the truth is, you can’t do and be everything to everyone. If reaching your creative goals are important that means that you’ve got to make time for them. Is it your dream to write a book? How many hours do you need to spend writing each day or each week to get it done? Say no to anything that feels like an obligation and yes to the things that feel good in your heart and will inspire you on your journey to reaching your goals. Get clear about what is most important to you then find the balance between your top priorities this year. You simply can’t afford to waste any more time on meaningless activities. Make a promise to yourself right now that you will live with intention. If you’ve run through this list and still feel unsure or don’t quite believe in yourself, just remember that self-doubt and fear are natural reactions when we’re challenging ourselves to step outside our comfort zones. I think one of the big differences between someone who achieves their creative dreams and someone who doesn’t is that most people freeze once they feel the fear and start listening to the negative Nancy living in their head. The truth is every successful creative experience the same thoughts and feelings of doubt and will often lack faith questioning everything including their own worthiness. Don’t believe me? Even Queen Bey lacks a little confidence every now and then. Just know that the anxiety you feel to pursue your creative dreams is a fundamental part of the process. What would you like to accomplish one year from today? Which strategy do you think will help you the most? Are there any other helpful strategies that have worked for you that I forgot to include? I loved this! I’m going to have to check out the workbook soon – I have a thing for stationery, so this appeals to me on so many levels. But I have many things to do (like, actual creative output! Which is exciting!) so I can’t get sucked into the black hole of planning right now. And I think that’s been the biggest struggle for me. I love to plan things and make lists, but then I’ve slacked, historically, in the output department. I am working – hard, at this point – to get to the point where I can say that I’ve completely remedied the problem, but baby steps for now. HI Michael, thanks so much for you comment. I agree, baby steps are key when tackling any goal or big, overwhelming project. I intentionally designed the workbook to help you focus on just one project, a longer term project that is big and would be more achievable when reduced to smaller, bite sized steps. I definitely understand that getting sucked into the black hole of planning can feel like it’s distracting you from your goal (the actual creation piece), however, what I’ve experienced in the past is that sometimes having a clear focus and target (which emerges in the planning stage) can really help with following through; a little up front work can sometimes save a lot of time in the end!